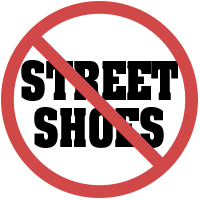 We would like to remind all students that our strict No Outside Shoes policy applies to all classes at our studio. Please remember to bring a pair of indoor non-marking shoes / sneakers to change into before entering class. You may leave your outside shoes on the shoe racks provided at reception. Please also note that our studio will be CLOSED from Saturday November 10 to Monday November 12 inclusive, in observance of Remembrance Day statutory holiday. Classes resume Tuesday November 13. Delve into the origins of Egyptian Belly Dance and explore body movement and musicality like never before. This beautiful and graceful style has been mesmerizing audiences for centuries and truly connects mind, body and soul. In this 2-hour workshop, Marisol Ruiz will teach you the fundamentals of Belly Dance while focusing on posture and flexibility, all in safe and welcoming environment. Beginners welcome! This workshop is part of the Origins Series, a line up of workshops offered this Fall at DanZa with incredible guest and regular instructors. *Keep an eye out for the Facebook event pages for each workshop. **You may choose to register for one single workshop or bundle any of the above to take advantage of the discounted bundle rate. To register and hold your spot for Egyptian Belly Dance, please eTransfer your workshop fee to contact.danzaproductions@gmail.com BEFORE Saturday, November 17th at MIDNIGHT! Please also shoot us a separate email (same address) to specify if you’d like to take another workshop in addition to Egyptian Belly Dance and take advantage of the bundle rate. Photography and Graphic Design by Tereza Paraschivescu. 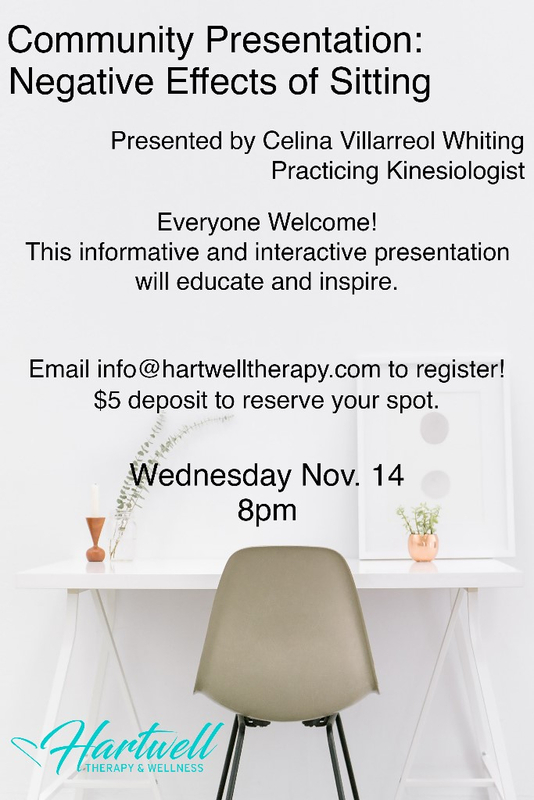 On behalf of our sister company, Hartwell Therapy and Wellness, we would like to share an informative community presentation by Kinesiologist and Dance Instructor, Celina M. V. Whiting, on the Negative Effects of Sitting. When: Wednesday Nov 14, at 8pm. Remember to follow @hartwelltherapy on Instagram for behind the scenes updates, educational videos and prize giveaways. Copyright © 2018 DanZa Productions Vancouver, All rights reserved.